In January 2014 they moved from Watford to Three Rivers. I met people who had travelled from Harrow and Hemel Hempstead, volunteers and members. I was greeted by Rupesh Shah when I arrived at 17:30. I had located them when I had been out for my Sunday run. Top Tiers – Nursery, school , college, adult education centre , small business – £100. They are based in the Croxley Business Park. Work is carried out mostly by volunteers. Like all charities new volunteers are always welcome. 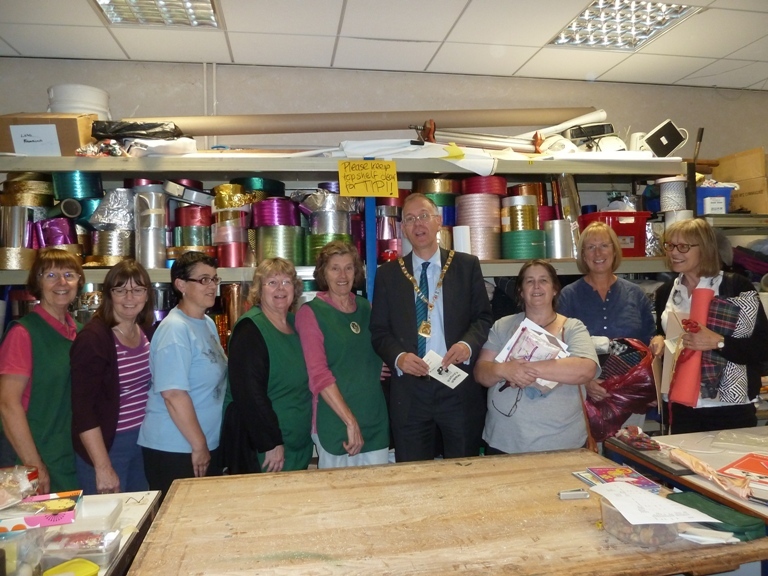 Workshops – WRAP can be booked to run art and craft workshops, using materials that are in stock at the warehouse. It was an enlightening visit as I knew nothing about them. They have done art and crafts at Watersmeet Pantomimes. Find out more about them.